Every business owner, manager, and employee knows that your biggest judge is your customer. As an employee, while you may be cautious of being under review by your boss or manager, you also have customers constantly evaluating your service and performance. Of course, if they aren’t satisfied, then your boss or manager will most likely be the first to know – and they won’t be too happy, either. 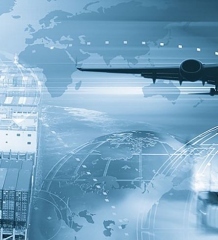 Shipping companies especially have to put on their best performance since they are in direct contact with customers. 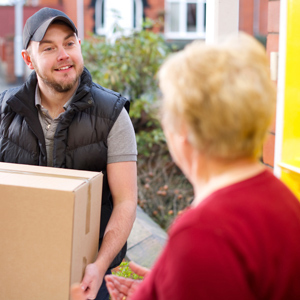 Whether a customer is or isn’t satisfied with a delivery, they won’t hesitate to leave a review or reply about the service, whether by calling the manager directly or writing an online review. To ensure you receive a stellar rating from customers, here are questions to ask yourself before and during white glove delivery service. Will the product arrive safely? No customer wants to open a package only to find a broken product. Rather, they want to open the package to find a perfectly placed item inside. Make sure you properly wrap the product to ensure it remains safe and intact. Customers are satisfied when they see the extent of packaging done to safeguard the product from damage. Also, when driving the product to the location, drive safely. A sudden stop or sharp turn could cause the package to fall and possibly break or damage the product. Take note of time as well since customers are expecting the product to be delivered on time. Your attitude towards customers helps to build a strong relationship and trust. In any situation, you need to be calm and friendly with each customer. You should always greet them with smile and positive attitude. Even if it’s a gloomy day and you have personal matters on your mind, ignore them for the time being. Your concern rests on the satisfaction of your customers. Do you know how to assemble the product? This question is of utmost importance, especially if you’re a white glove delivery company. Do you know how to properly assemble the product? You should unpack the product safely and demonstrate to the customer how the product works. Be patient in case the customer asks questions in the process and be prepared with answers. Better yet, provide the customer with a FAQ sheet about the product for their convenience. In addition to having a positive attitude, you should also have great communication skills and be a people person. Know how to be personable and converse with the customer. Comment on their home or their adorable dog sitting in the corner while assembling the product. Customers like this not only because they see that you’re friendly, but it also helps avoid any awkwardness that a silent room with people in it can create. Once the product is put together and the job is done, ask the customer if they have any additional questions or need help with anything else. Give them your business card or your company’s business card and write your name and a direct phone number to reach you. This not only shows the customer that they can reach you if they need any help, but that you’re confident that you provided stellar white glove delivery service. Jillian Johnson is a professional marketing content writer who blogs on a variety of topics. Follow her @MissWritey.Delivering a product to a customer? You’re under review! Ask yourself these questions to receive the best rating!